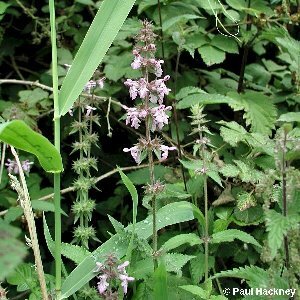 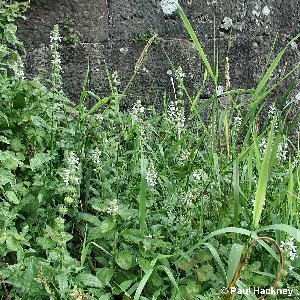 A common herbaceous creeping perennial of marshy ground, with rather pale purplish flowers in spikes, growing up to about 3 ft (90 cm). 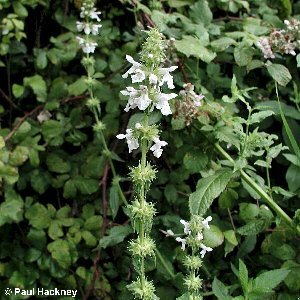 The leaves are narrower than those of Stachys sylvatica which grows in drier ground, and it also lacks the characteristic smell of that species. 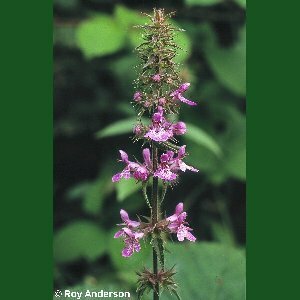 The two can form hybrids where they meet but records of the hybrid are rare in Northern Ireland. 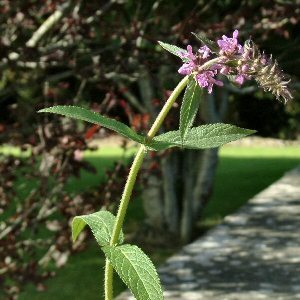 All names: Stachys palustris L.